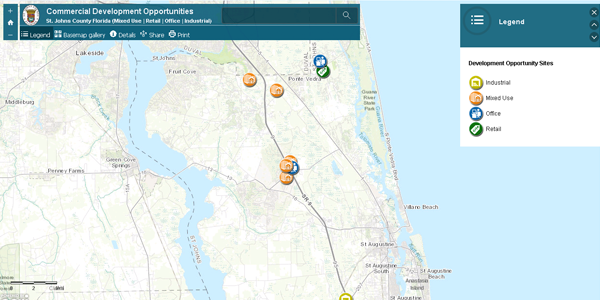 The featured commercial opportunities below are developer-controlled, fully-entitled, planned unit developments with non-residential entitlements ranging from 500,000 to over 5 million square feet. The St. Johns County Community Redevelopment Agency was established to promote, coordinate and fund a variety of residential and commercial efforts in three community redevelopment areas. For more information contact Melissa Glasgow, Director of Economic Development, for a personalized introduction to the commercial development in St. Johns County.